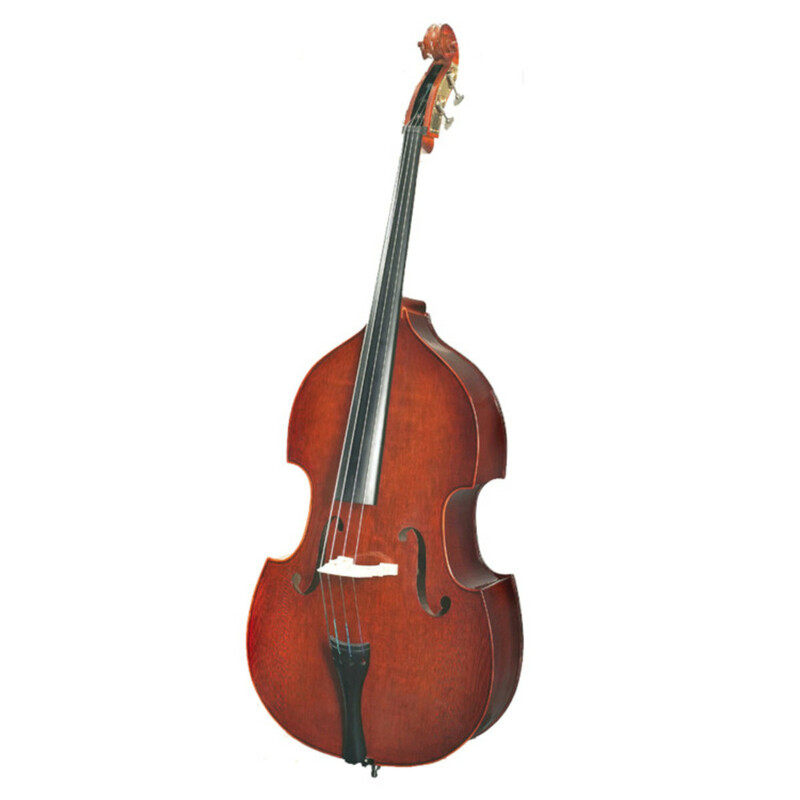 The Stentor half size Conservatoire Double Bass is an advanced student model, designed for those who are moving up the grades and need a high quality instrument without paying a fortune. Hand carved from attractive solid tonewoods, the double bass is supplied with a full mounted wood bow and a deluxe lightweight padded rayon cover. The Stentor half size Conservatoire Double Bass is an advanced student model, designed for those who are moving up the grades and need a high quality instrument without paying a fortune. Hand carved from attractive solid tonewoods, the violin is supplied with a full mounted wood bow and a deluxe lightweight padded rayon cover.